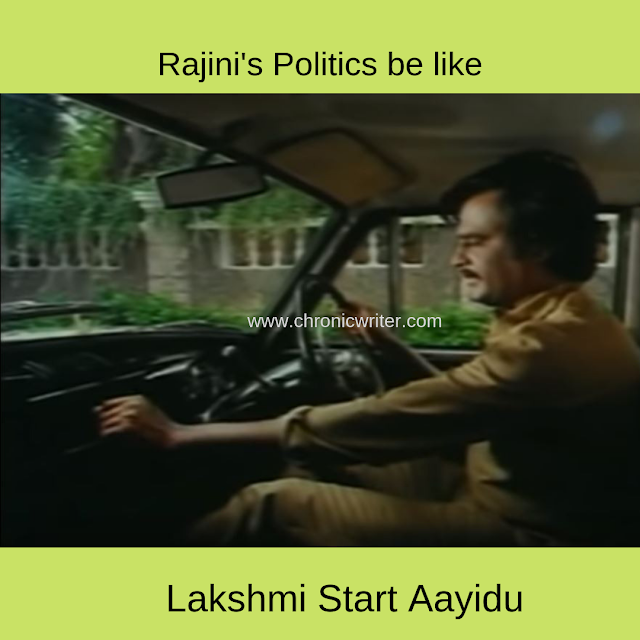 Rajini's political stunts has made him look like a joker these days. Every big actor who tried to enter politics have always been seen as jokers. Jayalalitha and MGR have been the exceptional cases in this matter. Sivaji Ganesan who stands tall as one of the finest actors Tamil cinema has produced, was a total failure when he attempted to make his entry into politics. Other people who have flopped big time with their political avatar are Karunas, Ramarajan, Vijayakanth. All these three have won their seats in elections; but all three have been at the receiving end of becoming central figures in memes. One man who has done the exact opposite is Nanjil Sampath. 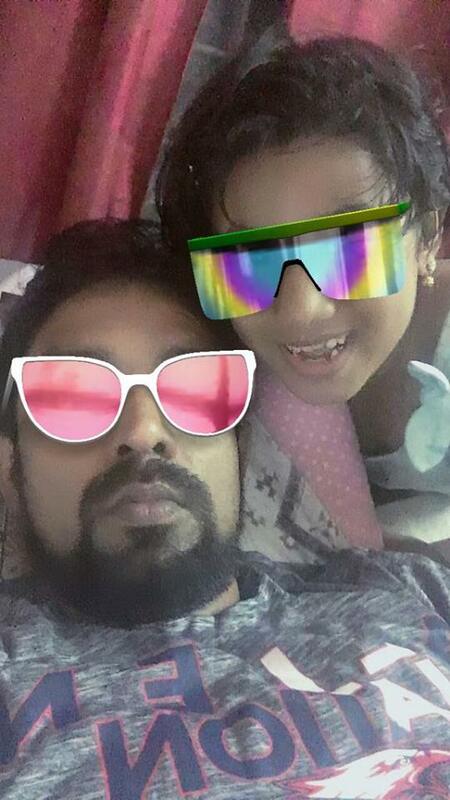 This man who is known for his Tamil skills was almost treated as a comedian and has been at the receiving end of many memes in the past. His famous dialogue "Amma varuvaanganu kaathutu irukurom" was the best dialogue of that year and it shattered all meme records. He has now plunged from the political field into the movie industry. He will definitely make it big in the movie industry. As I touched a little bit of Sivaji in this post, I am just wondering how would it be, if Sivaji had lived today as an actor. He would definitely have been at the receiving end and would have been the poster boy for meme-creators. His over acting would surely have been the talk of the town. It was tough being in love in school days, especially when the girl you love is extremely beautiful. Renu was a drop dead gorgeous girl. I fell in love with her during my Kindergarten days. All the guys were crazy about her. Shabir was my nemesis. Those who know about my Renu story would know all this. What I am about to write here is a secret that only Renu and I share. I am letting this secret after almost 30 years. I still remember the incident as though it just happened yesterday. It was September 1990. I was preparing for my 4th standard quarterly exams. I was deeply in love with Renu and she was as usualy confused between saying yes to me and Shabir. Three students will be sitting in one bench in the class rooms. It would always be three boys in one bench or three girls in one bench. In some benches 2 boys and 1 girl or 2 girls and 1 boy will be seated; but care would be taken to make sure that the lone girl or boy is not in the middle. We had a notorious craft teacher called Miss Sophie who loved to punish the students by beating them with a wooden ruler. I have already written about her here [link] In addition to being a witch (which she really was), she would also make us run errands for her. Shabir got into her good books by helping her with grocery shopping. Miss Sophie had a notorious way of punishing us with a wooden ruler. When a group of parents complained to the school management about her rowdyism, she decided to change her punishment tactics. Her new way of giving punishment was to make the wrong doer sit between students of the opposite gender. She thought by making a boy sit between two girls, the boy would be ashamed of his mistake and stop committing mistakes. She was wrong because I loved this punishment. I started committing crimes and often ended sitting between Renu and Minu. I would sit next to Renu and admire her in class. Renu would be looking at the black board listening to the teacher. I would be looking at Renu with some jollu running down my face. Shabir soon understood that I was being naughty on purpose only to sit next to Renu. So, he too copied this trick of mine and started sitting between girls. Miss Sophie did not have brains to match up with her brawny nature and hence did not know that Shabir and I were competing in an Olympic of sorts, just to sit next to Renu. But Renu figured it out and complained to Miss Sophie. I still do not know why Renu behaved that way. She would talk well with me, but still complained to the teacher. It was difficult to analyse what goes in a girl's mind. So Miss Sophie changed her punishment style. The next time I was naughty in class, she made me to go and stand outside the class. Now this was actual fun for me because I was able to watch the other kids play in the playground. But that also meant that Shabir was able to spend more time inside the class and foster his relationship with Renu. 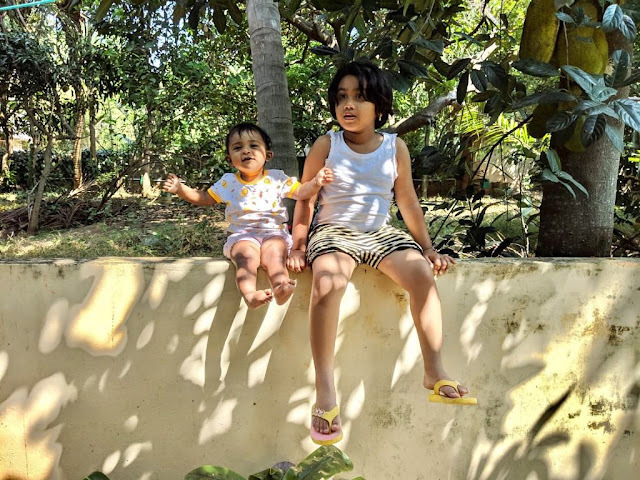 A 6 year old little girl and an 8 month old baby was seen sitting on a wall and having a good time. This is no ordinary wall. This wall has a legacy behind it. If you are wondering how come an 8 month old baby is sitting in the wall, you should realise that kids these days can do anything. This wall has seen it all. This wall compounds the backyard of our house in my native town. Beyond the wall is nothing but fruit bearing trees. I spent my childhood among these trees. There was a cashewnut tree near that coconut tree in the background. That was cut 20 years ago. I remember climbing the tree, plucking fruits, removing the nuts & eating the fruits and finally burning the nuts in coconut shells to get the cashew nuts. Then there was this mango tree there. We also had two mango trees at our house. But I always used to climb that tree for the mangoes because stolen mangoes taste better. When my mom used to chase me with a stick, I would climb this wall and disappear into the woods only to return after a few hours. But she had the knack of getting angry and thrashing me even after a few hours. 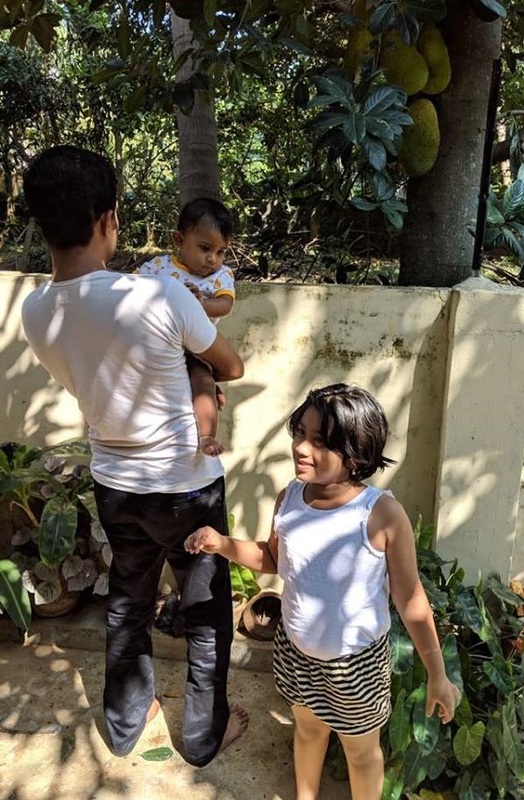 Finally that is a picture of me holding 8 month old Neya ( My niece) with my daughter Anya standing close and listening to my childhood stories with a smile on her face. The Jackfruit tree was a recent addition. But these jackfruits taste yummy. 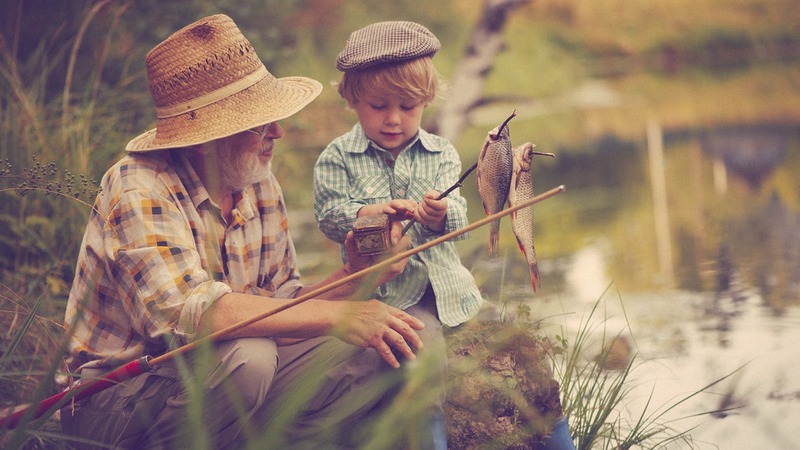 Train journeys would bring lot of wonderful memories for us. I remember my first train journey. It was a long train journey from Nagercoil to Tambaram. I was a 3 year old kid then. It was a second class sleeper compartment. My dad was literally behind me throughout the journey as I was climbing up and down the ladder throughout the journey. Yesterday I travelled from Tambaram to Nagercoil with my wife and daughter. My daughter's actions in the compartment took me back to those memories. We got the side berths for ourselves and Anya turned the compartment upside down. After climbing up and down the ladder, she got tired and sat down between us. My wife Joan was on the phone talking to my parents and Anya was bored. She asked me for a story book. I had Champak with me and handed it to her. 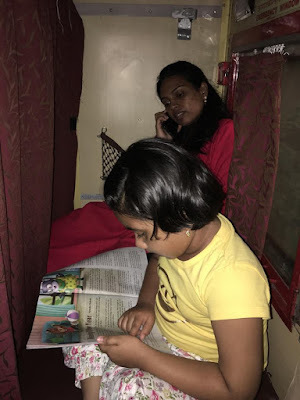 She then started reading the story so loud that the ticket collector in the next compartment also started listening to her. Soon she got tired of reading and asked my wife to give her the mobile phone to play games. 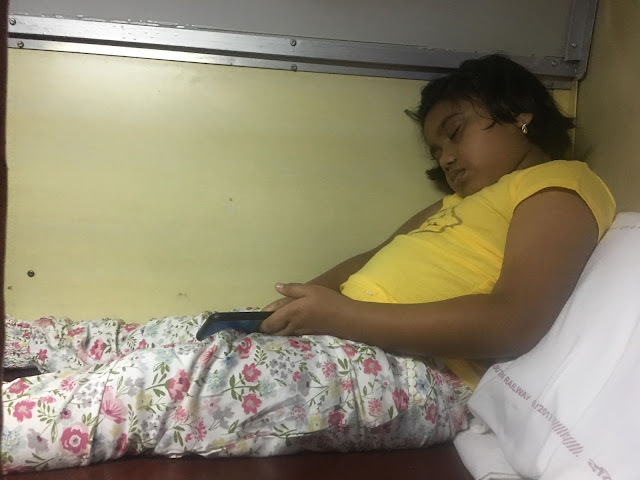 (Now all of you who are gonna advice me not to give mobile phones to children can please shut their mouth[s]) She climbed up the side berth, sat there comfortably and started playing games. The game-sound gave everyone in the bogey an indication that she was playing the game. My wife and I sat down on the lower berth and started chatting. Suddenly the game-sound stopped. I waited for a minute and when there was no sound even after a minute, I slowely peeped up and saw her sleeping. It was the year 1998. Everything that he touched turned to gold. I am talking about Sachin Ramesh Tendulkar. The present day cricket fans might go gaga over Dhoni and Kohli. But being a follower of the game since the 1987 world cup, I am proud to say that I am a diehard fan of Sachin. People often talk about how he braved the Gulf storm against the Aussies, his century against a Olanga led attack, his straight drives against Bret Lee and the manner in which he mauled almost every bowler acrosss the world. I am going to write about a match in which he won the match for India with the ball and not the bat. The mighty Australians were touring India in 1998 for a Triangular series. The poor Zimbabweans were the third team. It was the first of April. India was playing a one day international against the Australians in Kochi. That very same month, he was going to brave the desert storm and take the Aussies for a ride. That calls for a separate post and let me not digress here. Azharuddin won the toss and elected to bat first against the Steve Waugh led mighty Australian team. The openers Siddhu and Sachin got out for paltry scores and within the first 4 hours, India was reduced to 19 for 2. During those days, when ever Sachin got out, we would switch off the TV. But something told me to continue watching. The infamous trio of Azhar, Jadeja and Kambli blasted the ball to all corners of the ground and scored 82,105 and 32 respectively. It was a treat to watch Azhar's flicks, Jadeja's innovative batting and Kambli's footwork. 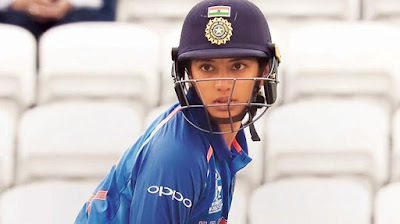 Not a single six was scored; but with some fireworks from Kanitkar (the new hero in the team) the team crossed the 300 run mark which was a huge score at that time. When Australia started chasing, Gilchrist blazed on all cylinders and they put on a century run partnership in just 10 overs. Srinath removed Mark Waugh and the debutant Agarkar removed Gilchrist. He would go on to break Dennis Lillee's world record for the fastest 50 wickets in ODIs, achieving the feat from only 23 matches. He held the record from 1998 until 2009, when Ajantha Mendis achieved the feat from just 19 matches. Coming back to the match, Australians still cruised on, thanks to a stellar partnership between Mark Waugh and Bevan (the greatest finisher of all time in ODIs) and crossed the 200 run mark in the 30t h over. They just had to score 100 runs in the last 20 overs. All doors were seemingly shut for India, when Azhar threw the ball at Sachin and asked him to bowl. What followed was nothing but magic in Kochi. Sachin started spinning the ball by a mile and the Australians had no answer to the magic arm of Sachin. The ball started spinning like a top. He got Lehman for a LBW with a wrong one. Sachin was spinning the ball ways. The downfall has already started. The score read 223/5. Watch this video to see how Sachin bowled an offbreak to deceive Lehman. Then Sachin was up against the greatest finisher in ODI cricket - Michael Bevan. Bevan had single handedly take Australia home on many ocassions like this. In this match also, he had scored a well timed 65 and was confident of taking the Kangaroos home. When he charged Sachin down the track to loft him for a six of the last ball of the 40th over, Tendulkar bowled well wide of his leg stump and Mongia did the rest. The greatest finisher was finished. Sachin, not only took wickets, but also stopped the run flow. The slide continued with the score reading 239/6. Watch this video where Sachin removes Bevan. Tom Moody was removed of the very next ball bowled (The first ball of the 42nd over). He tried charging down the wicket too. But he did it against the wrong guy and got stumped. The score was 253/7 and Sachin was on a hat-trick. Check the Tom Moody dismissal here. Warne was the man who came into bat and he managed to escape from Sachin off the hat-trick ball. Yet Sachin gave Warne a taste of his own medicine. Warne could not read Sachin at all. It was a sorry sight to see Warne struggling against a spell of spin by the little master. 982. Why do Kangaroos have pouches? My daughter Anya has learnt this new word "Couch Potato" and she is always excited to use this word. This was a conversation between Joan and Anya. Joan: What is a couch potato? Anya: You should ask "Who" and not "What"
Joan: Okay! Who is a couch potato? Joan: Can you name an example? Joan: Why do you say so? Anya: Was Appa always a couch potato? I was listening to this whole conversation from the drawing room and as I knew that Anya would come to me to ask a few questions, I had already gotten up from my usual slouching position on the couch. When Anya came to the drawing room, I was sitting upright. Anya: Appa! Why are you sitting here? Me: Should not I sit here? Anya: No! You are a couch potato only. Do you have a pouch? Me: Now who taught you this? Anya came near me and touched my tummy and said " But Appa, you have a thoppai". Now I am planning to enroll myself in a gym near my place. I decided to get a six pack in 2015. And that new year resolution was never kept. Now as 2019 is drawing near, I am adding this as number one priority in my to do list. I am not going to have any pouches anymore. 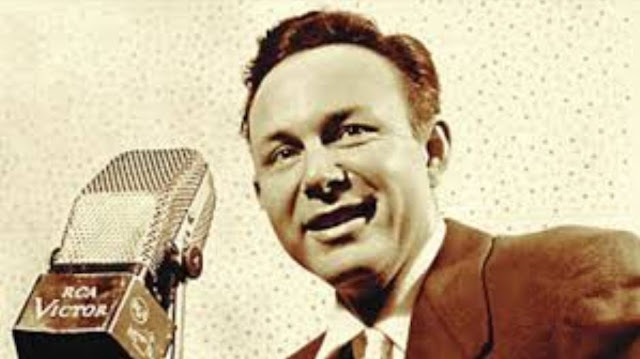 Jim Reeves! His voice would resonate in our house every morning when I was a kid. My mother introduced his songs to me and I remember singing along with the casette player to the songs "He'll have to go, Bimbo, Across the Bridge and many more". For a long time I would confuse his voice with Tennesse Ernie Ford. As I had a higher vocal register, I never attempted to sing his songs. But recently after floating a quartet called Fisher Four, I started experimenting with different vocal ranges and my band mates encouraged me to try bass and baritone voices. So I started trying out some bass songs. Anya rules the roost with the TV remote control at home. When I was a small boy, there was only one channel available on TV and that was Doordarshan. All of us had no other option and hence we all saw the channel all the time. No wonder I even watched the 7 PM "Vayalum Vaazhvum show". Now, the remote control is always with Anya and she watches the cartoon channels on TV. Some cartoons are banned for her at home because I make certain rules at home. But I give her company and watch Masha & Bear, Dora, Peppa Pig, Andy & Pirky and Paw Patrol along with her. Last week I asked her if she would allow me to watch cricket on TV. I love watching sports channels on TV and luckily for me, she agreed. So we both sat and watched the third One day International cricket match between India and West Indies. 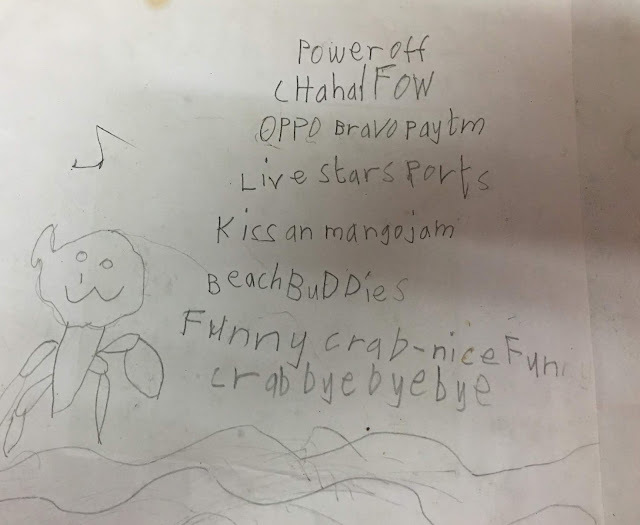 She got bored after sometime; but she went on scribbling some notes in her notebook. By the time the match was over, she had also finished scribbling. This note will be a memory for both of us as it is her first match along with me. Her favorite cricketer is Mandhana because she likes women cricket and is not a fan of the men in blue. She: What is your view on the #MeToo issue? She: What is a nice thing? She: How can it be nice to you? She: How can the sufferings undergone by many be a nice and good thing to you? She: THEN WHY CAN'T YOU REPLY? DO YOU THINK YOU CAN GET AWAY WITH THIS BY BEING SILENT? Me: Get away with what? Me: Where did they even find you?